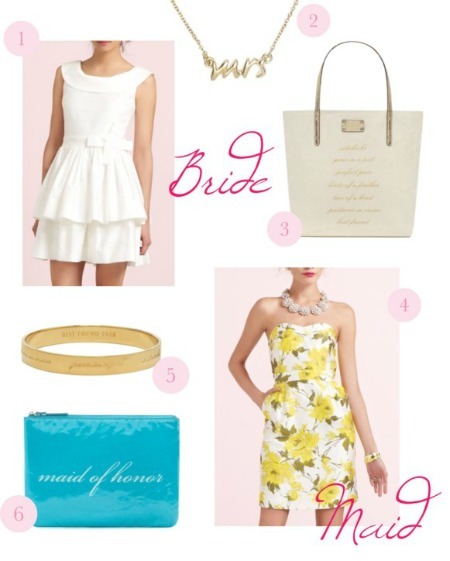 If you're not on the list for Kate Spade's e-blasts you may have missed the new additions to "Wedding Belles." Never fear, I've highlighted some of the goods below. 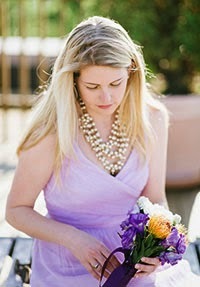 My favorite is the Bridesmaid Idiom Bangle (number five). It's adorable and sentimental; the outer engraving reads "birds of a feather, two of a kind, perfect pair, partners in crime, peas in a pod, sidekicks."